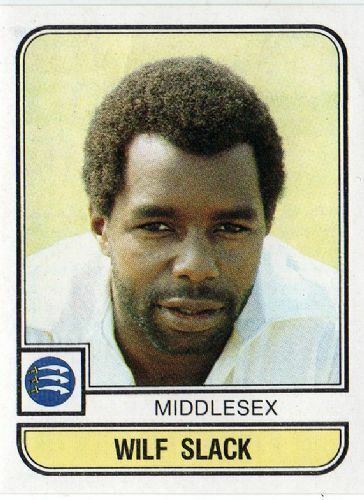 Wilfred Norris Slack (12 December 1954, Troumaca, St Vincent – 15 January 1989, Banjul, The Gambia) was an English cricketer, who played in three Test matches and two One Day Internationals for England in 1986. A left-handed opening batsman, Slack was a victim of mysterious blackouts while playing, and died, apparently of a heart attack, while batting in The Gambia, aged 34. Slack's family migrated from the Windward Islands to High Wycombe in Buckinghamshire, England, when he was 11 years old. He was a left-handed opener and played county cricket for Middlesex between 1977 and 1988. 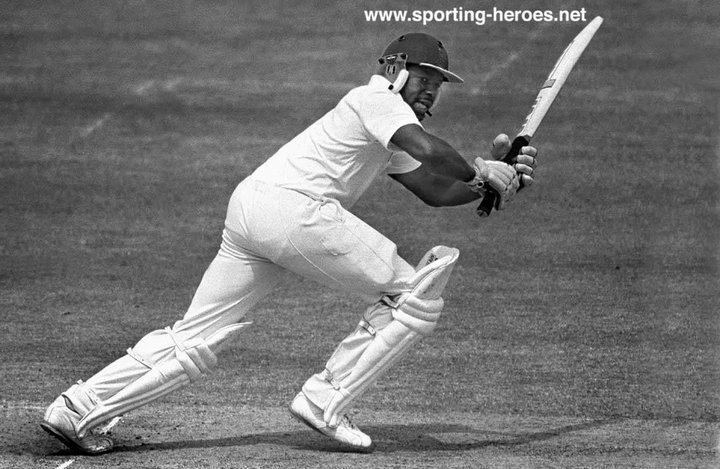 He also played for his native Windward Islands in the West Indies domestic competition between 1981–82 and 1982–83. He spent time playing cricket for various local sides, progressing into the Buckinghamshire team in 1976, at the age of 21, becoming the minor county's leading run-scorer for the season, with 748. The Middlesex coach, Don Bennett, marked him as first-class county material, and he was signed by them the next year. Slack made his Middlesex debut in 1977, but failed to establish himself in the side, in part because he played out of position, in the middle order. When Mike Brearley, Middlesex captain and batsman, was recalled to the England side in 1981, Slack was called on to replace Brearley and open the batting for Middlesex against Kent at Lord's; he scored his maiden first class century, 181 not out. The opening stand of 367 by Slack and his partner (Graham Barlow) was a Middlesex record. In the following game he made 248 not out, against Worcestershire. He finished the season with 1,303 Championship runs at 48.25. In 1985 he bettered his effort of four years earlier by making 1,900 runs at 54.28, and was rewarded with a tour of Sri Lanka with the England B side. Whilst in Sri Lanka, Slack was rushed to the West Indies during England's 1985–86 tour to replace the injured Mike Gatting. Slack made just two runs in the two innings of his Test debut at Port-of-Spain. As a result he was dropped for the next two Tests, but returned in the Fifth Test to make a tidy 52, partnering Graham Gooch in an opening stand of 127. His third and final Test came at Headingley against India in 1986. He again failed to impress but had a successful county season by topping 1,000 runs once more. This won him a place in the England squad for the Ashes tour of Australia in 1986–87. He did not play a Test in the series, and was never again picked for England. One minute I looked and he was fine, the next minute he had passed out and we had to rush him to hospital ... There was no indication that what he was suffering from was life-threatening. He died at the age of 34 after collapsing during a game in The Gambia. He was particularly popular among fellow-cricketers, who spoke feelingly of their respect and sorrow when he died. He was mourned, too, in New Zealand, where he coached in five English winters. Slack was buried in his prized England blazer, bat at his side, and as the funeral cortege drove past Lord's, the Grace Gates bore a sign reading "Farewell Wilf". Slack finished his first-class career having played 237 matches, with 13,950 runs at 38.96, including 25 centuries. In a tribute to their former player, Middlesex renamed one of their outlying grounds in honour of Slack. The former Barnet Council ground in East End Road, Finchley was, in 1995, renamed the "Wilf Slack Ground, Finchley". Middlesex play second XI and minor county cricket matches at the ground. In the same year, Middlesex also introduced ECG testing for players during pre-season medicals.